Survival is key today. With the world in turmoil, natural disasters and man-made disasters are occurring on a daily basis. Economic disasters are looming overhead. Ordinary folk like you and me need the skills, knowledge, and education to live through disasters. Collectively and individually, all the following sites cover a wide range of information and products to aid the active prepper to get things organized for a catastrophic event. The following is a collection of the best survival websites that we found informative and useful. They are not in any particular order. The information in this article is for educational purposes only. The publisher of this article is not responsible for any actions taken by the readers. Please study the sites and make your own educated decisions. Embed this image on your site to show you’ve been selected! The site is the passion of its creator, Niki David. Her enthusiasm to help folks to be prepared to survive is evident in her work. She claims to be a “Girl Scout” prepper. Her goals are to simplify prepping and to motivate and inspire people to start prepping and becoming more self-reliant. The definition of Prepping is having the knowledge and supplies to be able to survive in an emergency. When there is a situation, you should become self-reliant to provide for yourself and your family. The name of the site says it all. The founder strongly believes that you must use your instincts to survive. On this site, you will find excellent reviews on survival products, which the author has personally tested. The maker of the site says that he loves his country, his family, and God, and will do everything to protect them. On this site, you will find a link to a comprehensive collection of survival videos. You can also read the #bushcraft instinct newspaper, or even create one on the site. The site features a comprehensive collection of survival products. The authors state that they do not recommend any product without fully evaluating it. Only if it meets their high standards of value, quality, and service, they will put in on the site. A striking feature of the site is the resources page. The site has links to an international emergency and disaster information service and a link to a worldwide seismic monitor. Try them out for yourself. There are also nuclear and radiation survival guides for the USA. It also features a health outbreak activity map for the states, along with volcanic activity for North America. Their target audience is folks who want to learn survival skills and to get teach them practical survival skills. “We want to give you a better experience, more options, and better intel,” is what the site proposes. 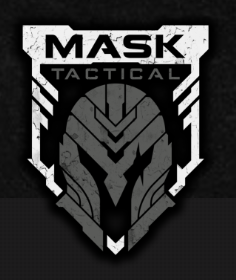 Their logo is a specially designed shield with a gash in the eye of the helmet representing the challenges of life. They also have a Spartan Skull which represents the fighting spirit. The Doomsday Moose is a survival site aiming to prepare the reader for the imminent doom. They want to help you be ready and survive any kind of catastrophe, be it a big storm to a zombie apocalypse. The articles on this site are culled from various writers. They caution the reader to evaluate the tips for their individual situations. The site has an extensive list of the contents of the survival bag, a list of survival foods, and an inclusive list of survival links. As the name suggests, this creator of this site wants it to become an exhaustive collection of everything survival. The website is a growing encyclopedia of everything to do with keeping you alive and well in adverse and challenging situations. It is all about, “Uncommon wisdom for dangerous times.” They sell survival food, survival kits, and survival gear. 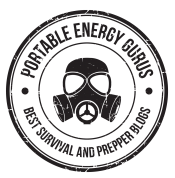 They cover a wide range of SHTF scenarios with articles like, “How to Prep on a Tight Budget.” The site has detailed blogs on topics, e.g., Survival Skills, Disaster Scenarios, Water, Firearms, Energy Sources, Electrical Equipment, etc. The best way to learn from the comprehensive site is to pay a visit by clicking below. This blog professes that you must learn, practice, prepare and be ready for any emergency. They are not doomsday activists but believe that the world is changing fast, and the best way to survive is to be ready. The authors keep the site updated adding regular features. They also invite like-minded preppers to submit quality articles that add value to the site. If you are interested in writing for them, they have detailed guidelines here. This is a site with quality information on survival. 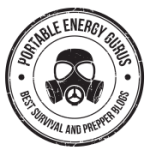 What stands out on the site is their philosophy of Prepper Fiction. Their belief is that by reading prepper fiction, you will be better prepared for any emergency. They advocate that you don’t know what you are planning for. Is it a pandemic, and economic collapse, a natural or man-made disaster, or an EMP? This sentence sums up their thought process regarding prepper fiction. Gaye Levy has passionately created this site. She cares about the survival of ordinary middle-class folks. Her site is free and will always be free. She receives commissions on sales that the site makes. That, according to her pays for the overheads and some to enjoy life. She makes it clear that her site only offers opinions, and will leave what you do to your good judgment. She has made it clear that she is totally against plagiarism and condemns it in all forms. She welcomes constructive criticism. Her site reflects her family values along with her desire to give back to humanity. “Modern Survival Online, Thoughts on Survival and the World Today,” is a collection of articles on survival topics ranging from, alternative power, bushcraft, communications, cooking, economic collapse, EMP, OPSEC, urban survival, weapons etc. The article on post SHTF communications makes a valid point. The modes of communication that most people are used to today, internet, social media, cell phones, etc., will most probably cease to exist post any apocalyptic event. In that case, we will have to go back to the reliable radio frequencies. It is food for thought for the active prepper. The site takes beginners through a series of posts to get their feet wet in the apartment survival setting. It has an informative piece on, “Ten Fast Track Tips of the Single Apartment Prepper,” with ideas like buying an extra seven gallons of water, stashing $20’s at a time for emergency cash, making an emergency plan with family, wherever they are, etc. The site welcomes comments from its readers. He asks that they are beneficial to the visitors. The author, Bernie Carr, is a professional writer and is available to write on a variety of topics. Survival Stockpile is an e-commerce site selling survival products. They specialize in outdoor survival with an extensive collection of guns and ammunition. They survival clothesline collection has a wide variety of choices. They have a compilation of videos and articles from various survival sites. This site is all about Survival Medicine; emergency first aid education and supplies. Doom and Bloom have a disclaimer on the site because of the sensitive nature of their products. If you want to learn about survival medicine, you are in the right place. Under the Start Here tab, Dr. Bones and Nurse Amy, describe what it takes for a family member to get a basic training in survival medication. They make it clear that it does not replace conventional study in any way. But during times of emergency, when trained medical personnel are not at hand, the job of this valuable member is of the utmost importance. The site has a schedule of training classes, informative articles, and books to get the potential trainee on the right track. The title of this website poses the question, “Are You Prepared For The Coming Economic Collapse And The Next Great Depression?” This affiliate site estimates that there are more than 3 million preppers in the US. It aims to get you set up in times of economic turmoil. The founder of this site is Michael Snyder, “a regular guy who is married to one of the most wonderful women in the world.” His conservative style is apparent in the articles on the philosophy of life. Michael has written four books (all available on Amazon). He is a frequent guest on radio and television shows across the nation. Dr. James Hubbard, The Survival Doctor is the author of this site. His thesis is that you must be prepared with a basic knowledge of how to deal with medical emergencies. “I’ve seen able people who don’t know to put pressure on a cut to stop it from bleeding,” he writes. He has created this site for when there are a disaster and help is not at hand. “Survival medicine for hurricanes, earthquakes, tornadoes, floods, terrorist attacks, social upheaval or any time you’re isolated.” is his theme. The site is organized in a manner where you can search by Disorder or filter by topic. When you click the relevant disorder or topic, it takes you to an informative article/s on the subject. He also has a “Survival Doctor’s Emergencies Training Course” on Udemy.